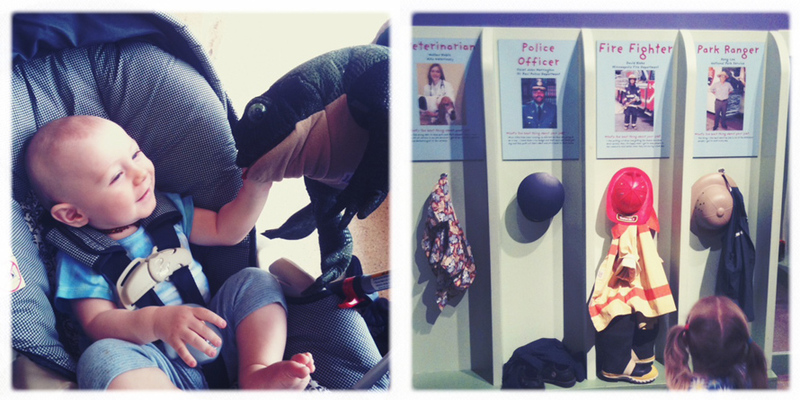 On a recent visit to Minneapolis, we took a day at the Children’s Museum of Minnesota. Now, I remember LOVING such hands on places while growing up, and while most of the exhibits were for kids older than Van, we had a blast. 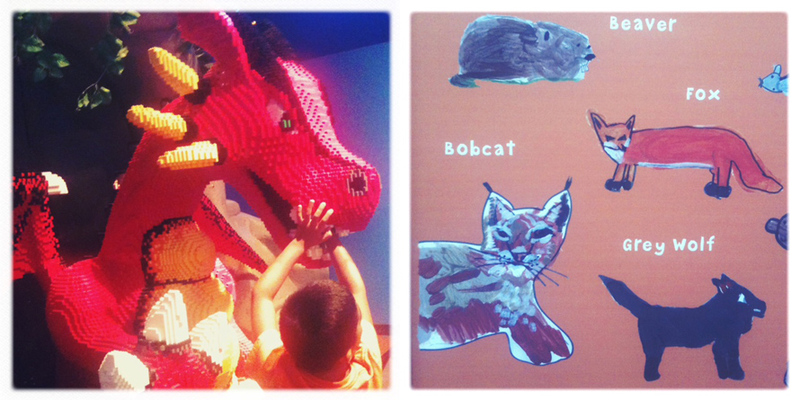 From a lego land exhibit about knights, castles, and dragons (with a joisting corner to boot!) to a tiny town where kids could don costumes (like firemen and postal workers), from an indoor jungle with simulated clouds and lighting kids could move themselves to a sidewalk art patio, there’s plenty here to keep a kid happy. The most awesome part for us though, was the baby room, where kids under 3 can let loose. 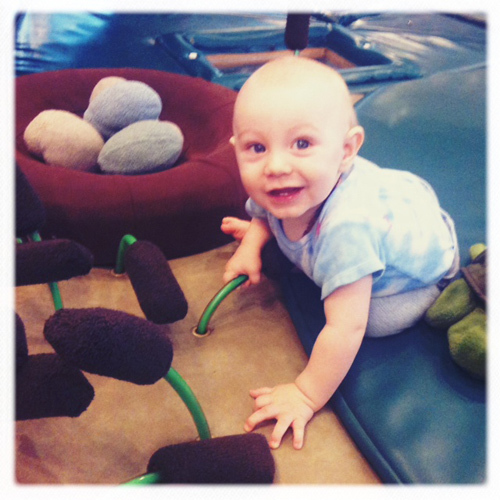 Van was thrilled to spend time in the padded lily pad area that had mirrors, toys, and fun stuff to climb around. What a great idea! (Will have to see if our local museum boasts a similar room and make a date to go there soon if so).